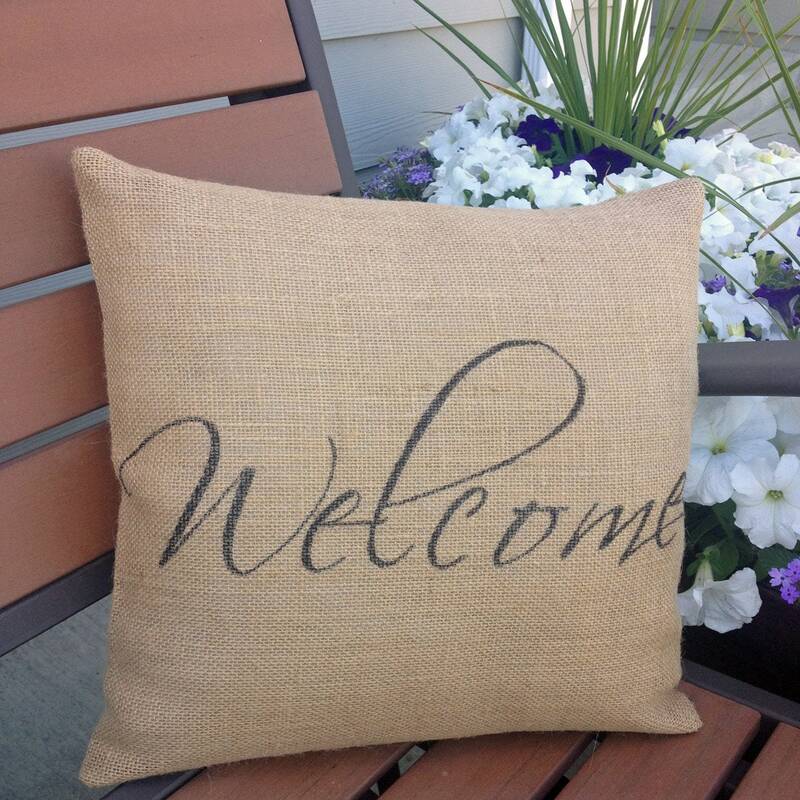 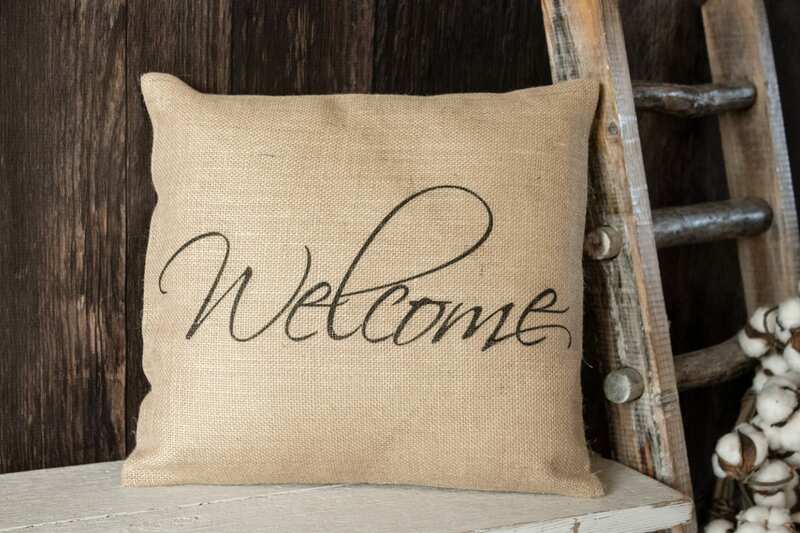 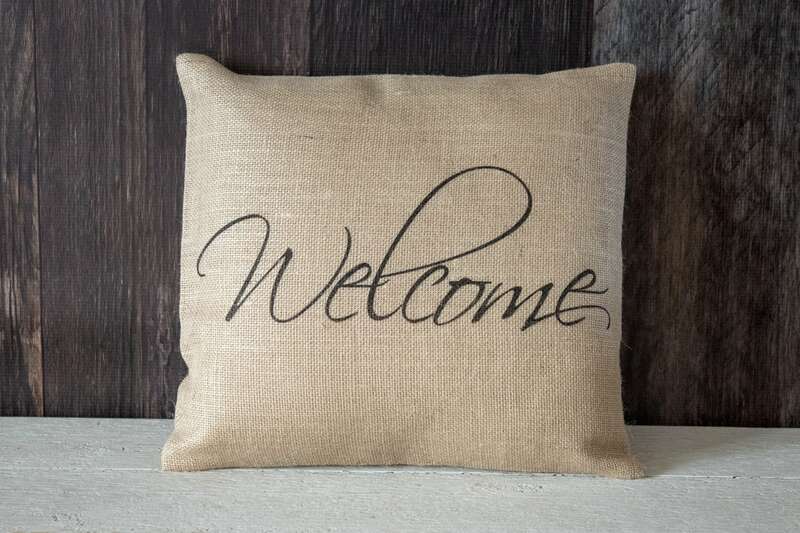 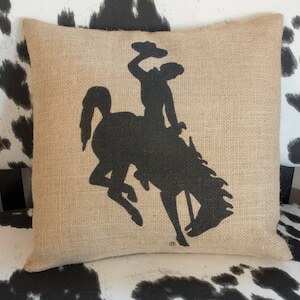 This burlap pillow is a perfect addition for your entryway bench or on your front porch! 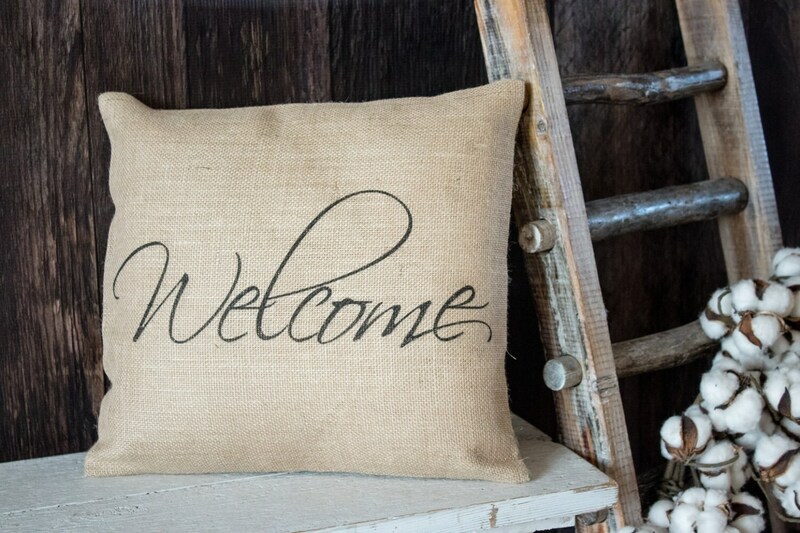 Welcome your guests in a modern style. 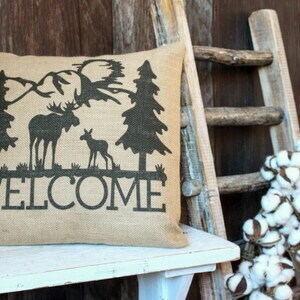 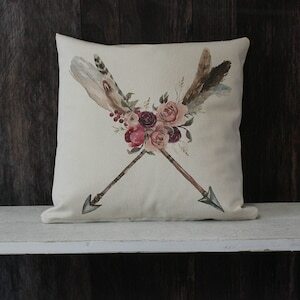 This pillow would make a charming housewarming gift as well. 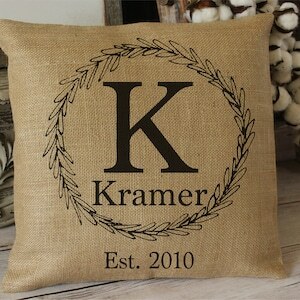 Burlap fabric is like a chameleon, it easily blends with a variety of home decor styles, rustic, cottage, shabby chic, farmhouse, western, natural... the list goes on and on.